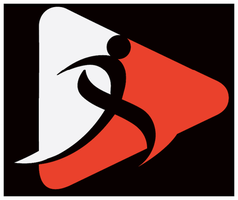 The XLeague semifinals feature a matchup between a pair of the country's best teams. Number one and two in the power rankings, Fujitsu and Obic have combined to win six of the last seven Japan X Bowls. 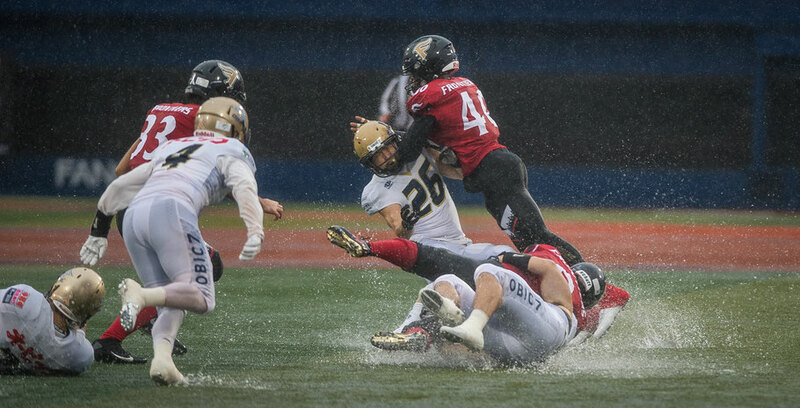 These are two very evenly matched teams – it took overtime to separate them in week six – but Frontiers are on a five game winning streak against their Chiba rivals, and 2017 hasn’t been the best season for the Seagulls. The way Obic blew away Rise in the quarterfinals though has made everything that went before seem less relevant. It’s worth remembering as well that all three of Seagulls’ regular season losses were by four points or less, so it’s not like Obic have been far off the pace either. This semifinal, despite the fans giving Fujitsu a big edge is finely poised. Both defenses are peaking as the season nears its climax and likewise both offenses have injury question marks going into the game. 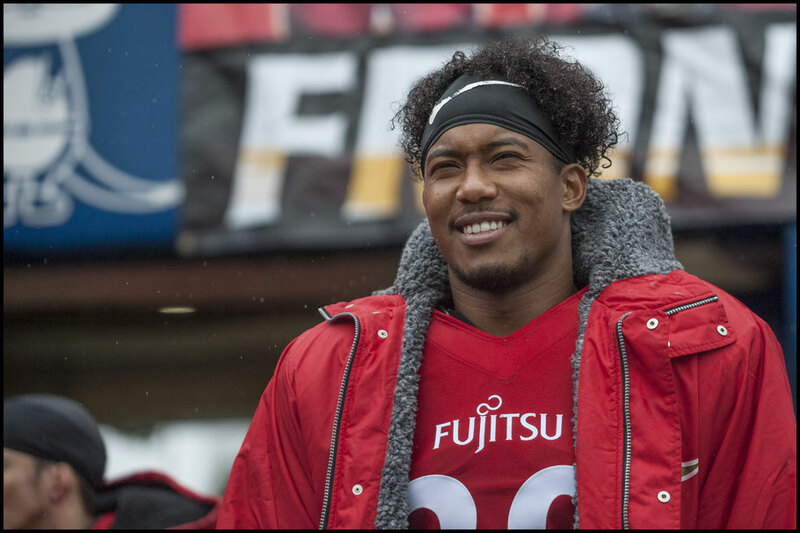 Obic’s rookie QB Ikaika Woolsey spent most of the year battling a high ankle sprain and Fujitsu’s veteran halfback Gino Gordon injured the same body part the last time the teams met. It’s likely both men will play on Sunday but just how far along the healing process is for either we won’t know until play begins. Fortunately for both Seagulls and Frontiers their backups are more than competent. Obic QB Shun Sugawara has been one of the biggest names in the league for most of the past decade and while maybe not quite the player he once was, the veteran has been effective this year with his ten passing touchdowns being second only to Nojima’s Devin Gardner. Seagulls are selling a special T-shirt on Sunday commemorating Sugawara having reached 100 TDs and 10,000 yards passing. 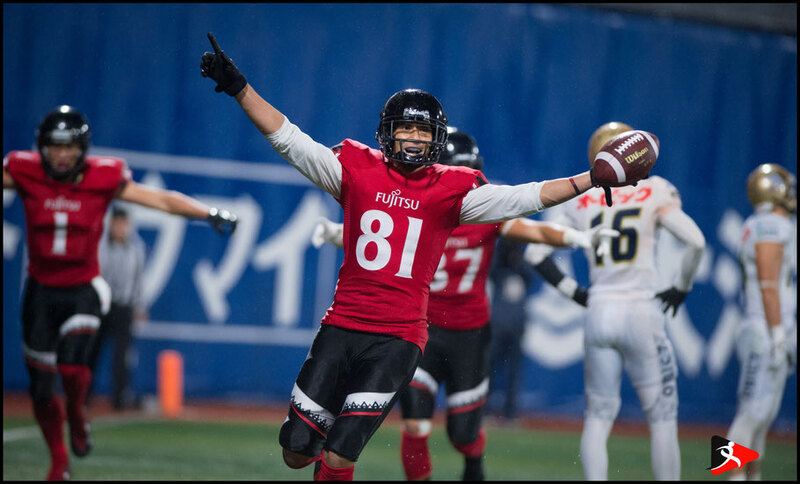 The Hosei University man along with Woolsey will need to bring their A game as the Fujitsu defense hasn’t given up more than 7 points to Obic in regulation in three years. Frontiers play the pass as well as any team in the league which isn’t surprising when you have the league’s top CB in Al Rilwan Adeyamai and a hybrid DL / LB with the ridiculous closing speed of Trashaun Nixon. It’s not just the American pairing either. Frontiers defense contains several players that have been All-XLeague selections over the past few years. On the other side of the ball the Kawasaki-based side have even more weapons. Colby Cameron has a host of targets to choose from including Japan’s top wideout in Clark Nakamura. If RB Gino Gordon doesn’t recover in time for the game, Kazuki Takaguchi, Kosuke Kamiyama and Keita Takanohashi provide enough depth and variety out of the backfield to cover for the Harvard man. 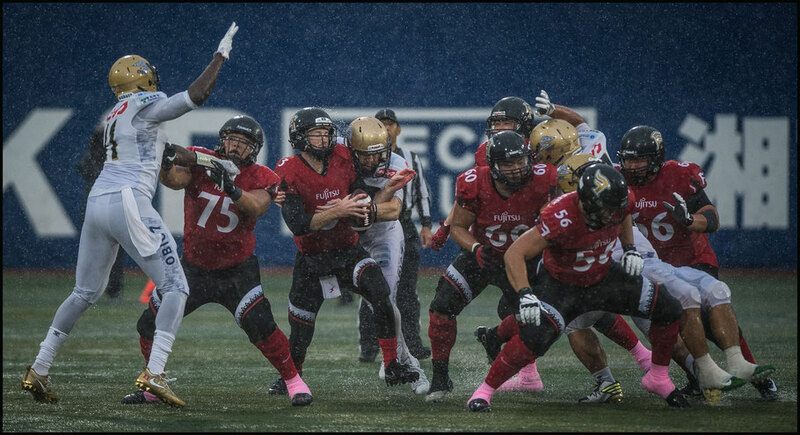 If all that talent at the skill positions wasn’t enough Frontiers also boast what is probably the league’s best O-Line. A unit that is increasingly reflecting the personality of its coach, former Tampa Bay Buccaneer Keven Lightner. It’s a line that will have its work cut out for it on Sunday against a tough Obic pass rush led by a rejuvenated Kevin Jackson. 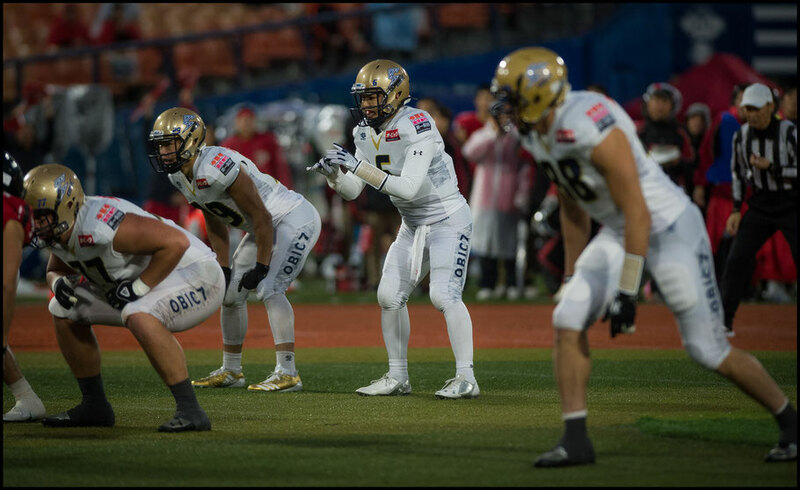 Now in his 12th year with Obic the former Rainbow Warrior put in an outstanding performance against Nojima in the quarterfinals, recording two sacks and grabbing an interception. That was one of six picks the Seagulls had off Devin Gardner but a repeat is unlikely as it’s doubtful Cameron will be under such pressure or indeed resort to chucking it downfield when being tackled. While Obic’s performance last time out makes them a tempting pick and defensively it might be a toss up as to which team is better, Fujitsu, even without Gordon, have the edge on offense and that should be enough to see them make the X Bowl for the fifth straight year.